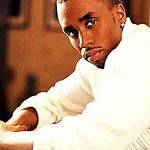 Last week – during the 2011 Annual Bryan-Michael Cox Pre Grammy Brunch at the Four Seasons Beverly Hills – Sean "Diddy" Combs committed $100,000.00 to fund young urban entrepreneurs in conjunction with The 100 Urban Entrepreneurs Foundation. Music Producer Bryan-Michael Cox, SESAC and 100 Urban Entrepreneurs, a non-profit foundation that serves urban youth, honored Sean “Diddy” Combs at the brunch. Annually, Bryan-Michael Cox recognizes a leading business executive’s commitment to music, business and service. The brunch was well attended by a mix of music and corporate executives, friends and family. Bryan opened the brunch with heartfelt words about the impact that “Puff”, as he referred to him during his speech, had on him. In a special presentation honoring Combs, Damone Franklin and Charlie Fyffe owners of Charlies Brownies, a 100 Urban Entrepreneur funded business, announced the establishment of the “Sean ‘Diddy’ Combs” Entrepreneurial Fund. Moved by the founders’ commitment to urban entrepreneurship and the stories of those currently served by the foundation, Sean “Diddy” Combs personally committed $100,000.00 to The 100 Urban Entrepreneurs Foundation. The donation will be used to fund 10 startup businesses and provide entry into the 100 Urban Entrepreneur Mentor Program. For more information about 100 Urban Entrepreneurs, click here.